Every year, my grandma makes Easter bread. She makes an enormous batch (enough for the extended family) that calls for a whopping 24 cups of flour! 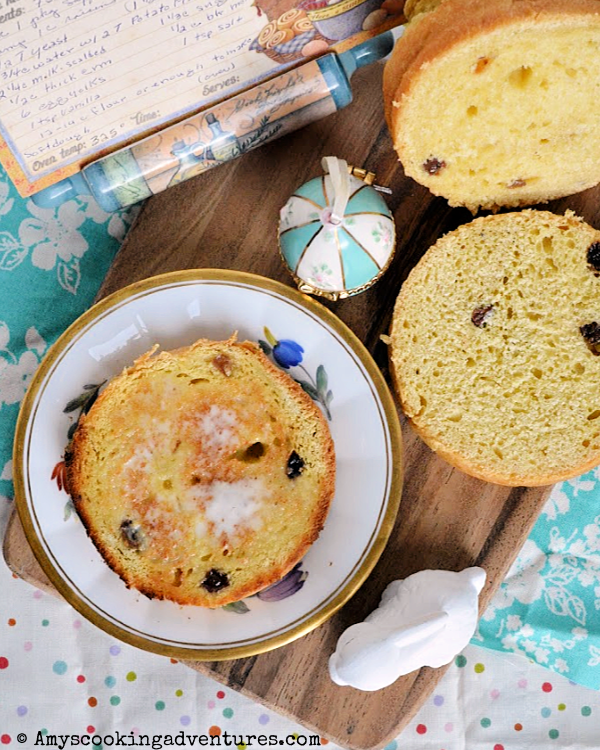 As the family gets larger, there’s not always enough bread to bring home, so I thought it was high time that I learned to make grandma’s Easter bread myself. I’m not generally a huge orange fan, but blood oranges are a different story – sweeter than their counterparts, this short-season fruit is the perfect addition to a non-traditional Moscow Mule! Hubs and I first tried a version of these last week – we had tickets for a show, but then it got canceled due to inclement weather (sad!) The kids were all settled in with movies at home, so we decided to go out for a quick drink before heading home. 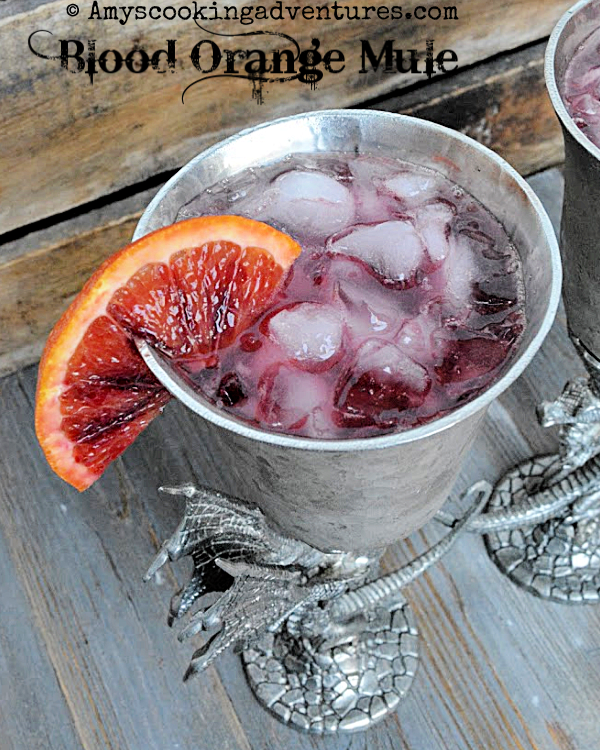 We ordered the Blood Orange Mule & fell in love! I immediately decided that I wanted to reproduce it at home. And can I tell you a secret? I like this one even better! 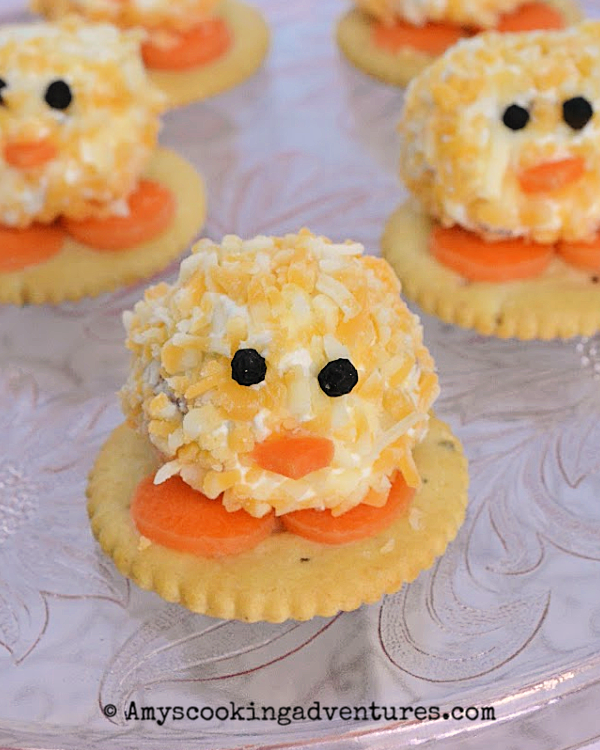 It’s Fantastical Food Fight time and this month is a Cheeseball throwdown. At first, I was going to bow out. I don’t think I’ve ever made a cheeseball and I certainly didn’t have an occasion for making and serving a cheeseball either. Then I made my 3-cheese tortellini and ended up with just a bit of extra cheese filling (I think I under-filled a few tortellini). So I got to thinking…could I add some cream cheese to the ricotta mixture and create a cheeseball? What about mini-single serving cheeseballs?? What about something Easter-themed?!? It's meatless Monday again! This time, I decided to break out the pasta roller again and make homemade tortellini! 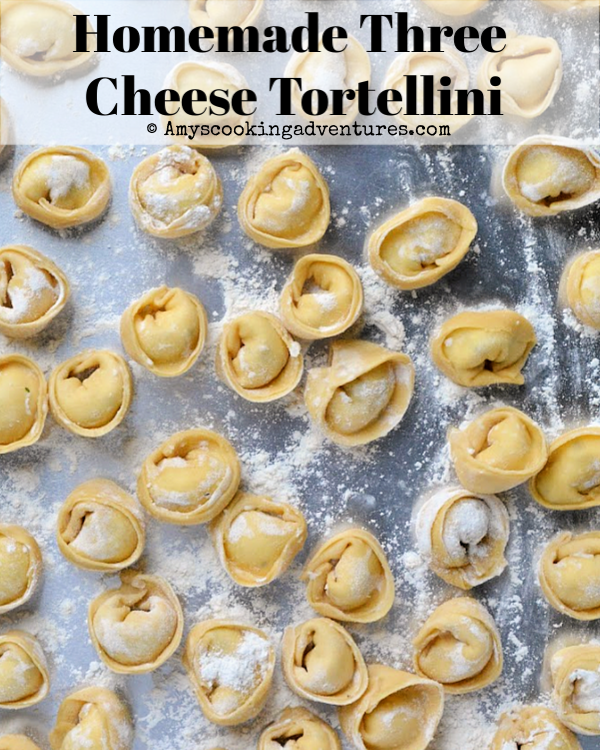 Homemade tortellini are a lot of work (it takes a ton of time to individually shape the tortellini) but it is well worth the effort. Last Friday, Spud came down with a cold and all he wanted was homemade knoephla soup. Problem: it was Friday and it’s Lent so knoephla soup (with all its chicken) was a no go. Spud suggested a meat-free knoephla soup. 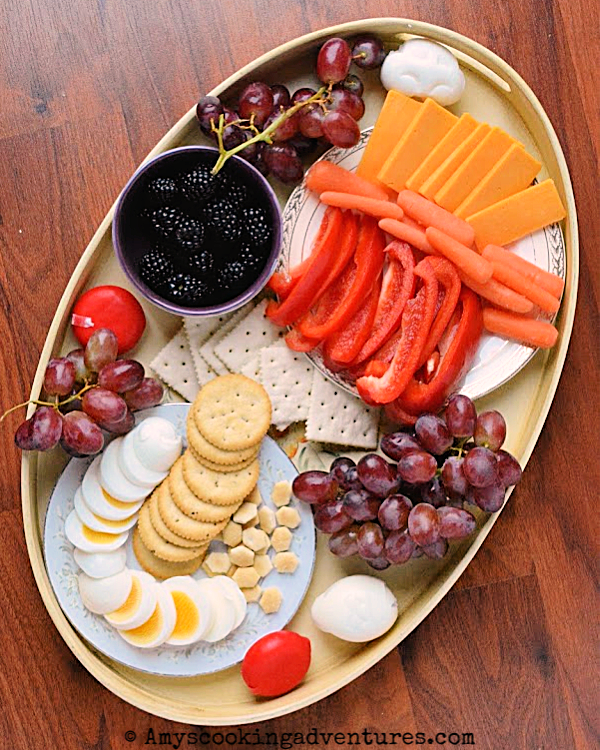 Meatless knoephla soup, however, is basically just a bowl of carbs, so I wanted some protein, fruits and vegetables to serve with it, and I created a nice Lent-friendly charcuterie board! I took pictures, but you won’t be seeing that soup recipe anytime soon, it was merely “ok” and certainly needs some work (if a meatless knoephla can ever be truly achieved). Well, well, it’s the 10th of the month, which means we’re traveling the world for the Eat the World recipe challenge! With Cinco de Mayo just around the corner, we’re headed to one of my favorite destinations: Mexico! Mexico is a favorite since Hubs and I honeymooned in Mexico and went back for our 10-year anniversary. Great memories and amazing food! I make Mexican food (well, Tex-Mex at any rate) fairly often at home – taco Tuesday is frequently requested, as are homemade tortillas! I’ve also made food inspired by both trips (Honeymoon Tacos and Guacamole Skull). 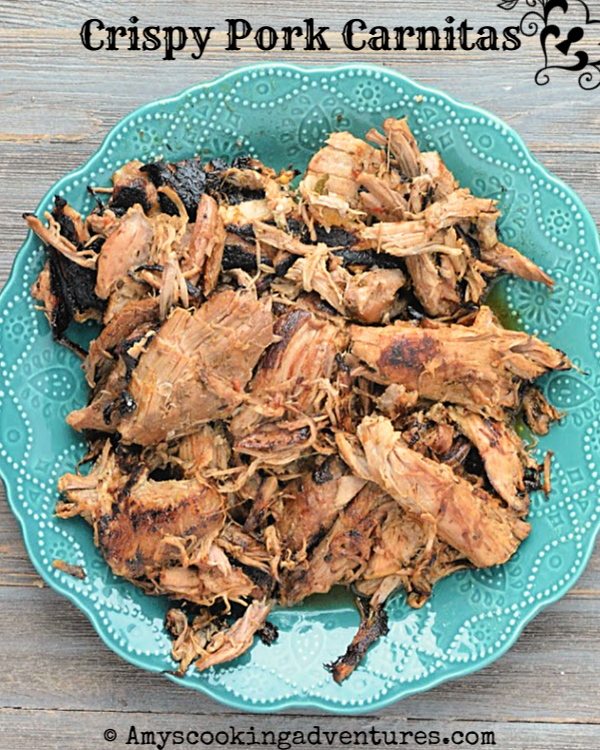 I wanted to make something authentic that I hadn’t made before and I finally settled on Pork Carnitas. Now, I cannot truly attest to the authenticity of this particular recipe. As I researched, I found many recipes claiming to be authentic, all containing wildly different ingredients. So, is it one of those recipes where everyone has their own twist on the recipe or are some more authentic than others? I can’t say for certain. Eventually, I chose one and added one of two components from a couple others and called it a day. Authentic? Probably not. Delicious? Oh yes. 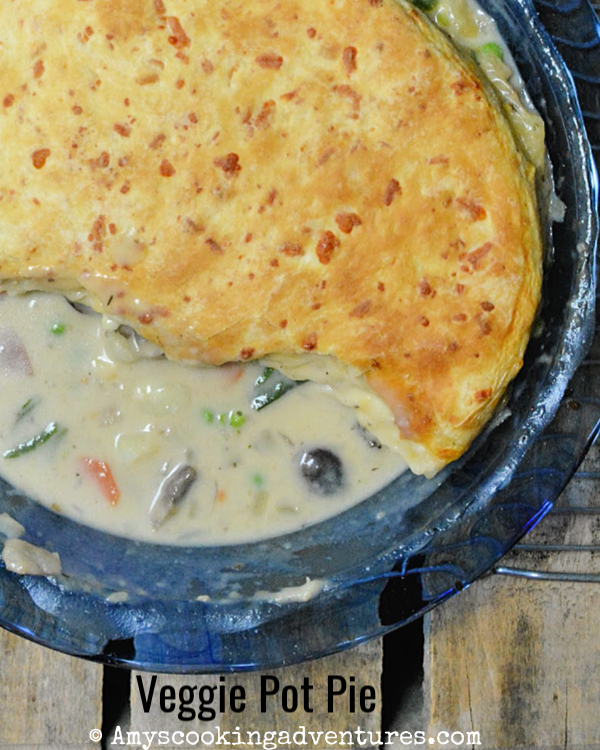 Lent is nearly over and I still haven’t shared that delicious meatless pot pie that I promised a month ago! Let’s change that, shall we? I made this amazing Veggie Pot Pie on Ash Wednesday. After fasting for most of the day, I wanted to make a hearty vegetarian dish for dinner.